Prime Minister Shri Narendra Modi addressed the nation today. In a series of tweets, the Prime Minister said “In the journey of every nation there are moments that bring utmost pride and have a historic impact on generations to come. One such moment is today. India has successfully tested the Anti-Satellite (ASAT) Missile. Congratulations to everyone on the success of Mission Shakti. Mission Shakti was a highly complex one, conducted at extremely high speed with remarkable precision. It shows the remarkable dexterity of India’s outstanding scientists and the success of our space programme. The test has demonstrated the Nation’s capability to defend its assets in outer space. It is a vindication of the strength and robust nature of DRDO’s programmes. With this India joins a select group of nations, which have such capability. The test has once again proven the capability of indigenous weapon systems. 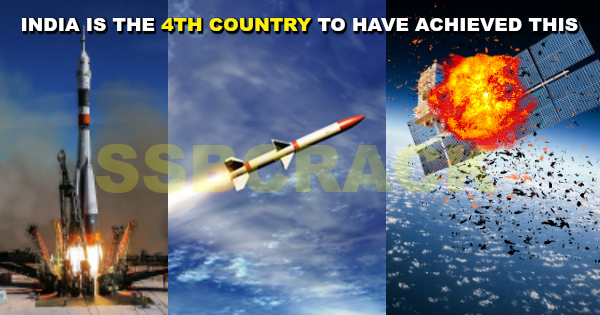 India is only the 4th country to acquire such a specialised & modern capability. Shortly after his address to the nation today, Prime Minister spoke to scientists involved with the successful conduct of Mission Shakti, via video conference. The successful conduct of Mission Shakti today, has made India the fourth nation in the world, with the capability to successfully target satellites through an Anti-Satellite Missile. Congratulating them on their success, the Prime Minister said that the entire nation is proud of our scientists for achieving well, what they had set out to accomplish. He said that in line with the “Make in India” initiative, the scientists have given a message to the world that we are less than no one. The Prime Minister said that India follows the philosophy of Vasudhaiva Kutumbakam – the world is one family. He however, also emphasized, that the forces which work for peace and goodwill, must remain ever-powerful, for the achievement of peace. The Prime Minister asserted that for global peace and regional peace, India should be capable and strong. He said that the scientists have contributed to this effort with dedication. He also conveyed the greetings of the entire Union Cabinet to the scientists. The scientists thanked the PM for giving them this opportunity to prove their skills.